Manufacturers around the world are pumping squillions into R&D labs trying to make the perfect MIDI controller. I'm sure there are shelves full of almost but not quite platters of all shapes and sizes littering the vaults of the big boys and many a frustrated Product Manager still searching for the perfect platter for their next generation of bandwagon hopping product. So imagine my glee when some guy in the UK armed with an open source project, a cardboard box and some gaffer tape serves the manufacturers their arses on a MIDI platter. All hail Rasteri - king of the controllers. Something for next weekend sir? Being immersed in Hip Hop for 25 years, I'm an avid supporter of people doing their bit to keep the actual culture alive. One such company is Punch Records in Birmingham, UK. Having already organised DJs For Life and B-Boys For Life, it's now the turn of the third element of Hip Hop - MCing - to get the Punch treatment. 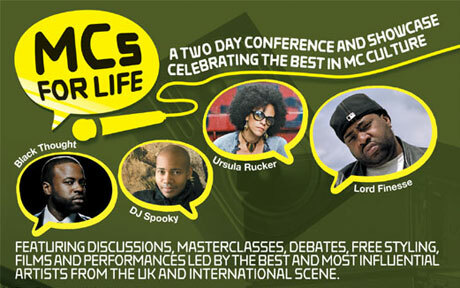 Next weekend sees the MCs For Life event take place in Birmingham on Saturday 28th June, and the day after it's up the M6 for a second event in Manchester. Long time visitors may remember my dalliance with the retail scene via www.skratchshop.com. T�was good while it lasted but the financial return on my time just wasn�t high enough, and frankly Gizmo doesn�t do paperwork. So the cockles of my heart were warmed when I saw a new venture pop up, servicing the same sector but from the US. Faderonline aims to service scratch DJs on a global level with the goodies they crave. When Numark go on the release offensive, they don't mess around and tend to save up a shedload of new product and spew it forth into your lap and consciousness at show time. Summer NAMM has seen the mighty Numakailesision corp announce a heap of new (well repainted and renamed) mixers out, but this new Numark PRO SMX has some new bells and whistles - including a Pro X Fade as standard. Love the feet too. 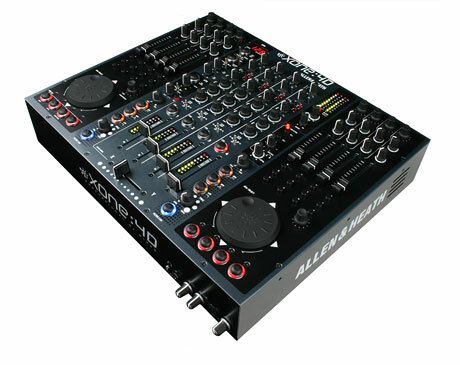 When faced with the daunting prospect of a product that is clearly part DJ mixer and part production desk, it's hard to know where to start. Such was my feeling when I agreed to take on the Zero8. Sadly (honest), Korg managed to mix up our delivery addresses and Deft ended up with the behemoth that is the knobfest Zero8. While I'm doing my best to streamline the operation from barely hanging together ramshackle mess into slick world leading website, sometimes things just don't fall together as well as they should. This has definitely been the case with Korg coverage. I'm putting that right today and releasing the remaining long awaited reviews. First up is my KM-202 and 402 review. Yes grammar nazis - that's singular. Remember the Numark ownership of MusikMesse back in 2006, where they introduced an unholy amount of nextlevelness, leaving everyone else to scurry away and nurse their manufacturer wounds? 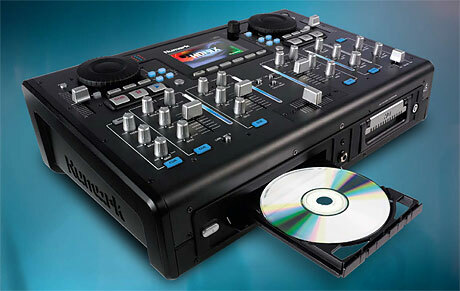 Well one product that was there but not seem again was the HDMIX, an all in one workstation with a built-in hard disk. Well having disappeared back into the R&D lab, it's back and looking a lot like a remixed iDJ2. 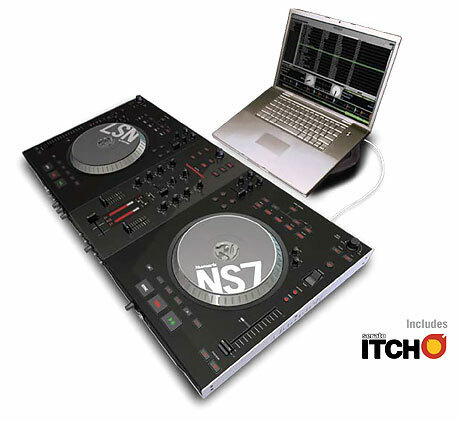 Yes yes I know you're all craving for even the merest tiny snippets of insignificant info on Numark's NS7, like price and delivery date, but little is being given away from Numark HQ. But this new image has appeared, and while looking hawt, it now sports a bright shiny edging. And it seems to plug into the Ethernet port as well. Not really though - artistic licence I think. 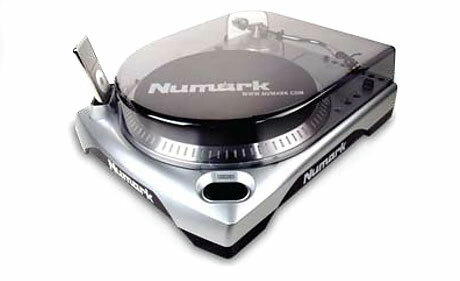 The Numark Dust Cover - oh Dear Lord why? Words fail me, but not Numark apparently. 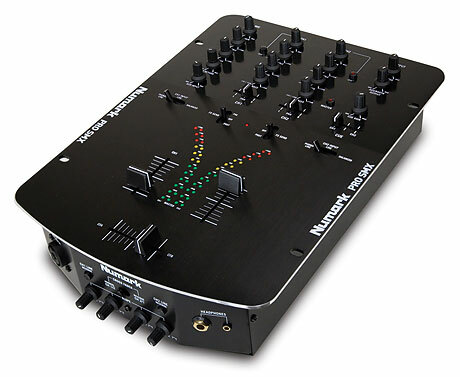 Having seen most of Numark's product line evolve decidedly down the digital route, I've often wondered just what was happening with their mixer range. Well I, and you for that matter need wonder no more for Summer NAMM sees no less than 13 (yes that's THIRTEEN) mixers being announced at the same time. All shapes and sizes will be available, but we don't know when or for how much. Yet. 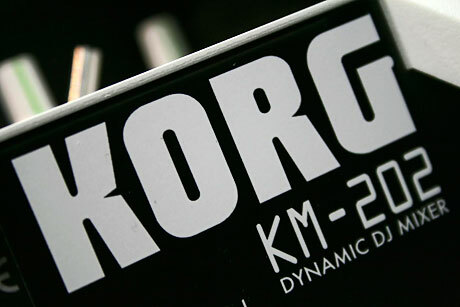 When Korg do DJ gear, it ranges from the diddy and wee (KAOSS stuff) to ridiculously over the top slices of nextlevelness (Zeros). Sussing that if you make something small, cheap and importantly good, the retailers will stock and the punters will lap it up, especially if it�s in line with all that is hot in the market. 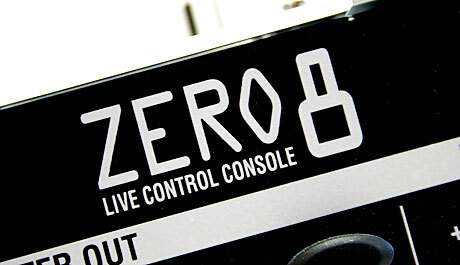 So it comes as no real surprise to see the new and somewhat Applishly named nanoSeries of USB controllers. We showed you the new Xone:4D a little while ago but had no more than a dodgy near spy shot and scant information. Now however, Allen & Heath have extracted their digits and got official info out to the world, just in time for the London International Music Show. You'll note the new not at all Pioneer like darkside paint job, but its only when you get it into a club with UV light that it really comes alive. Thankfully the Xone:4D is a whole lot more than a shameless pimping of the Xone:3D. 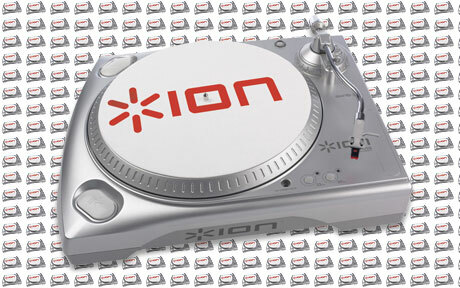 While it's more than apparent that vinyl and turntables are slipping off to the retirement home (apparently decks sales are just 10% of their 2003 figure), Numark subsidiary ion-audio seems able to shift mind bogglingly large volumes of their USB decks. They seem quite chuffed to tell us that they've just shifted their ONE MILLIONTH USB equipped decks. While I should be disheartened that ion-audio are helping kill off vinyl with every deck sold, I also have to take my hat off to them for capitalising on the demise. I can't help but smirk to myself at the irony of a company managing to sell turntables to people who actually seem to want to be rid of turntables completely. Selling turntables in the face of its own demise is pretty bloody good marketing really. Still, it means more vinyl on eBay for the rest of us I guess. Continuing with the out of season release schedule, Gemini have got a couple more mixers in their PS range for you to check out. The 626EFX, aside from an extra EF, shoehorns some effects into the existing 626 model, whereas the 828x is an all new 4 channel affair. Isn't it time to rationalise the range a little now? Imagine a ship without a rudder... a car without a steering wheel... now imagine Woody's mixer without a crossfader cap... and now imagine that he's off to Chile in just a few days for some serious gig action with Spain's hottest Rap star. 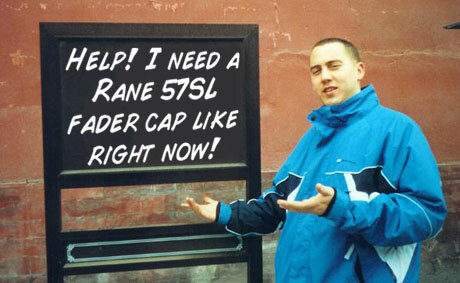 Indeed, he may as well cut off his arm without a fader cap for his Rane 57SL. So while I've given him UK contacts to try and get a fader knob to his gaff stat, I'm trying to hedge his bets a little and see if any of you guys to hook him up in his hour of need. So if any of you - ideally in the UK - can supply our beloved Woody with a fader cap like right now, mail the man himself - woody@woodwurk.com - and he'll come and play at your weddings, christenings, bah-mitzvahs and/or proms for the rest of his life*. *possibly not true at all.